Let me start by saying that this internship has been singularly the biggest learning experience I have ever had. My undergraduate training had been in electronics and telecommunications engineering from the University of Mumbai. Courses like mobile communication, wireless networks and Internet Voice Communication edged me to choose cellular communication courses like AWS implementation (ENTS 653) and OFDM simulation. I began my applications for summer internships in late December. I had applied to mostly RF and wireless PHY based positions as my courses gave me confidence and interest in those fields. My application to Sprint was an online application. I noticed that one of the team members viewed my LinkedIn profile just a couple of days before I got the call for an interview. I believe LinkedIn played an important role in providing the employer with a summary of my projects and skills. I highly recommend all the readers who are looking for internships to update their LinkedIn profile with accurate and succinct information. Sprint RF engineering was my first offer which came late April. I had one interview with 4 of the senior members of the RF optimization team at the Bay Area location. Most of my questions were aimed at cellular deployment and LTE fundamentals, the tougher questions included Perl scripting basics and a deep dive into LTE performance indicators. The interview though not a raging success was fair enough for them to see me fit for the position. What I learned from this was that it is okay to not know everything that is asked and its okay to say so. If you show that you can handle a challenging problem with flair yet know your limits and acknowledge room for growth you are seen as an accountable team player. First day at work. This internship was the first actual job that I had, making it more overwhelming combined with the fear of looking stupid when asked questions. So, when my mentor noticing that I was nervous offered me a day to read up on the Sprint LTE certification I grabbed the opportunity without wasting a single second. I devoured the 800-page material in a single day, partly because of the first day enthusiasm and partly because I was scared to be given a productive task and failing. 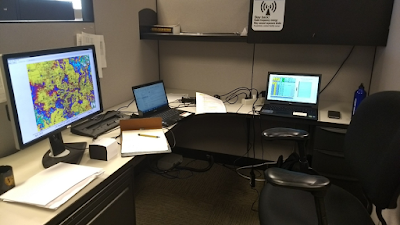 On my second day, I was armed with my LTE fundamentals, I realized that the Bay Area RF engineering team being small in size (About 14 engineers including me) everyone was too busy to notice me fumbling with my notebook waiting to be given orders. What I learned from this is that in big corporations, you cannot make a mark If you wait for tasks to be given to you and get by doing the bare minimum. I went up to my mentor and requested her to let me shadow her for the day to learn what an RF engineer does. I was all caught up with the daily routine by the end of the day and won the responsibility of a KPI for the market. Responsibility. For all of you who’s internship will be your first job like me, responsibility and accountability is the first thing you should learn especially if you are working in a service based firm with daily deliverables and time sensitive tasks. Innovation. As an intern one of the most important things your employer is looking from you is fresh knowledge and perspective. Make sure you are not afraid to voice your opinions about process improvements or even daily activities with confidence. One of the best things I got to do during this internship is research on 5G deployments from the RAN perspective. The biggest responsibility that was upon me during my internship was complete ownership of an area for LTE performance for the last 2 weeks of a quarter. It was a priceless experience to have that kind of trust from your manager and it made me humble as I realized how much more I had to learn to be a high competence engineer. To sum it up, I strongly advice that you choose an internship that closely aligns with what you have planned for the near future. 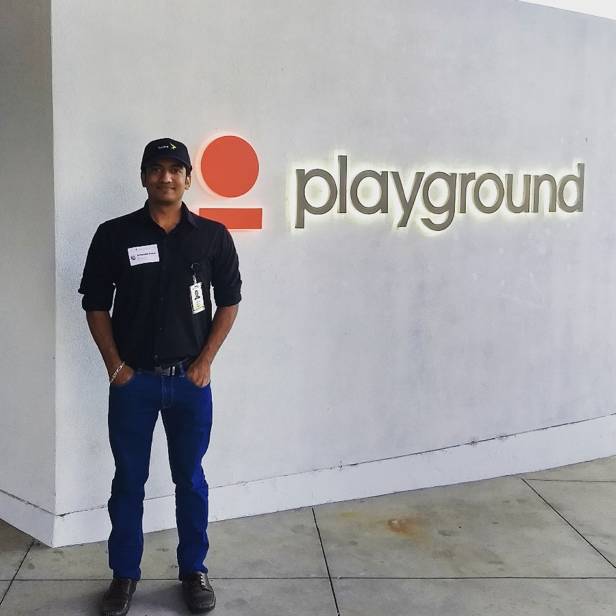 About the Author: Swanand Bhave spent his summer at Sprint Corporation's West Network, San Francisco Bay Area as an RF Engineering Intern III for LTE Optimization.